Two years ago, I adopted Eugene from a professional breeder knowing very little about chinchillas: what they eat, how long their lifespan is, what sort of habitat they need to thrive, the list goes on. The breeder was very helpful in detailing not only what chinchillas need, but also gave me tips on how to care for this specific chinchilla and what his normal behaviors are. They gave me a care booklet for chinchillas as well, and through this I learned that dried fruits are a healthy and tasty snack for them as long as you are mindful of what to give them. Eugene, my chinchilla, has taken a liking to dried papayas! Chinchillas should always have access to water as well. A common small animal water bottle is fine for this purpose. 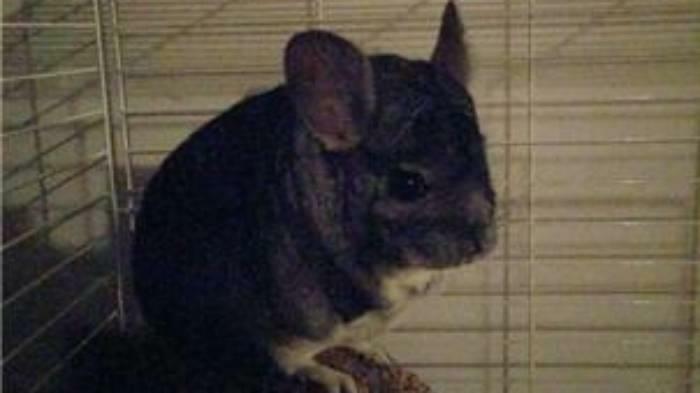 As is common knowledge amongst those who have considered owning chinchillas, you cannot bathe them with water. They maintain their fur by rolling around and "taking a bath" in volcanic ash due to the density of their fur. As far as foods go, many larger pet stores sell pre-mixed chinchilla foods which can be found in the small animal section. Be sure to stock up on alfalfa hay as well: this is an important source of fiber for chinchillas, though it should not be the only thing they eat as it can lead to health complications. Some chinchilla parents like to separate the meals they give their pet into three portions given throughout the day, while others set out a food bowl. There is no hard and fast rule about this and varies on the owner's preferences. Treats can be given as a training reward and a few times per week otherwise as a small pick-me up. It is important to make sure that your chinchilla is eating a varied diet rather than gorging on treats. 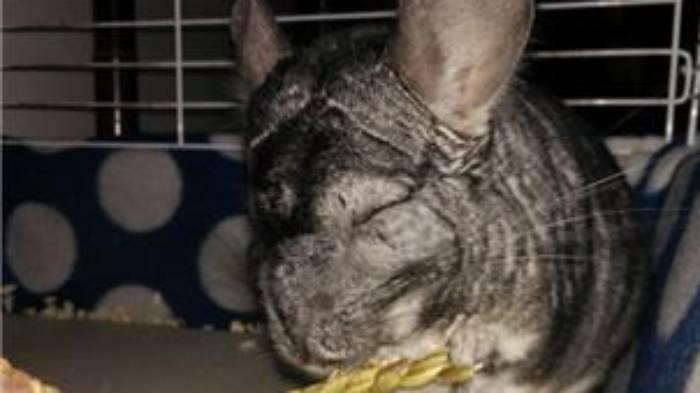 Cage-wise, chinchillas love to chew! Hay and wood chew toys can be found in your local pet store's small animal section. It does help to familiarize yourself with the types of wood that are safe for chinchillas. Chinchillas need space in their cage-- both to rest and hide but also for play. Eugene's current setup is multileveled, and allows him to hop from tier to tier of the cage with ease. I have also placed two half-logs in his cage which he likes to sleep under sometimes. It is worth noting that even the cuddliest of chinchillas need time to hide and recuperate from play. An easy way to institute this is to have a section of their cage which is a "no play zone", somewhere where they can go that you do not try to play with them from. It can be a specific corner, their usual sleeping spot, or a hideaway home. The best chinchilla cages are almost all metal, and many chinchilla parents should provide their pet with smooth surfaces to stand on. Bare metal grates should not be used for a chinchilla cage's bottom as it can lead to foot problems for the animal. Instead, a flat-bottomed cage or a cage bottom covered with fleece not only prevents foot problems, but provides a cozy surface for the chinchilla and is easy to clean up. If you choose to use cage bedding, DO NOT use aspen shavings under any circumstances! It is toxic to chinchillas. Use softwood shavings instead. One thing to note is that since a chinchilla's fur is so dense, they need to be kept in a cool space. In the winter this is not so much of a problem, but during the summer their maximum temperature should only be around 72 degrees. During the humid months, it is also beneficial to give them a space to cool themselves down. The most common option is to have a smooth slab of stone tucked away for cooling purposes. Toys for chinchillas are most commonly in the form of wooden and hay chews, and I put these out for Eugene whenever I let him out to run around. 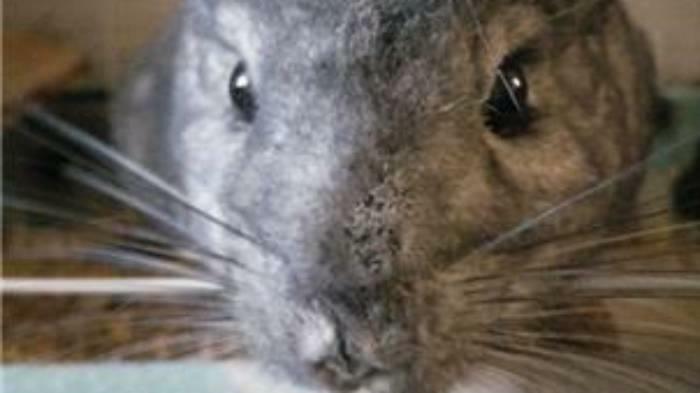 This is something that should be done regularly, as it promotes a healthy, active chinchilla. Usually, chinchilla parents will block off dangerous areas of their bathroom and let their pets run around as exercise. Cleaning the cage must be done as often as owners can manage. Chinchillas poop a lot! Be mindful of cleaning up after exercise sessions as well. There will be a bit of a mess afterwards. Overall, I would definitely recommend owning a chinchilla to everyone who is interested! They are animals that, like cats, do not require a large amount of attention, but are ready to give it and engage their owners on their own schedule. If you treat your chinchilla right, however finicky or tough their care may seem at times, it will return your affections-- Eugene always perks up whenever my family or I come through the front door!